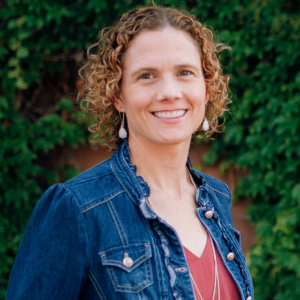 Jennifer Slattery is a multi-published author and the founder of Wholly Loved Ministries, a parachurch women's ministry that partners with churches in diverse locations to facilitate conferences for women. In this capacity, she grows and coaches speakers, books events, and routinely interacts with ministry leaders from varied denominations. She and her team facilitate, on average, 6-8 conferences per year at various hosting churches. She edits for LPC, is a paid contributor and feature blogger for Crosswalk, and has experience as a freelance publicist. Jennifer will be teaching one breakout session and taking 15-minute appointments. This class is geared toward those who are just beginning to consider speaking to those who have gained some bookings and would like to grow. Students will learn how to create engaging keynotes that encourage future bookings, how to present in a way that captivates the audience, how to create and work with street teams and why they’re important, and how to get bookings. We all understand the importance of building our platform, but many of us don't know how to do this with the time we have available. How can we leverage our giftings and passions to maximize our message and our reach in a way that honors Christ? Whether you're looking to build a speaking ministry, successful blog, or simply find alternative ways to connect with readers, Jennifer can help! She'd love to discuss your unique needs and goals and brainstorm ways you can grow a longstanding, successful career.